Black Saturday affected the lives of many borrowers here at YPRL and I cannot begin to imagine how devastating and life altering that may have been. 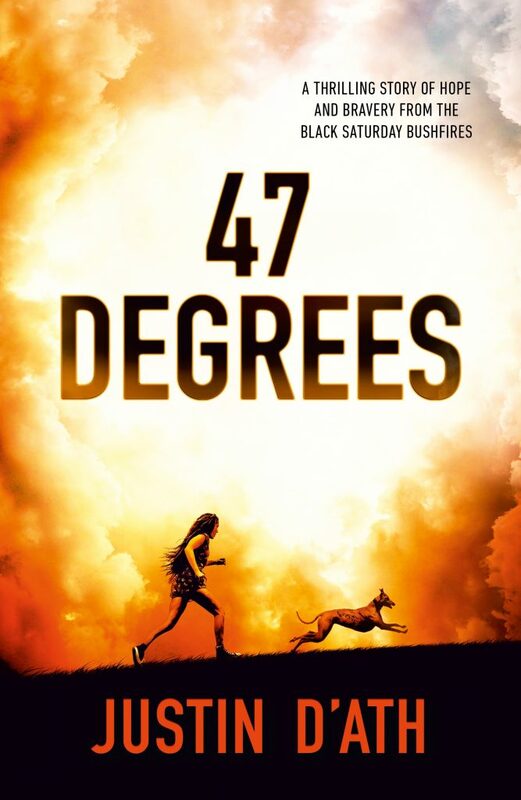 Author Justin D’ath does, and he has captured the impact it had on him through his most recent Junior Fiction book, 47 Degrees. On the 7 February 2009, it was a 47-degree day, and fires were threatening homes across Victoria. Zeelie and her family live in the small town of Flowerdale, fires have started in surrounding areas and Zeelie’s father Dan decides to stay and defend their home. Her mum and brother Lachy are safe in Melbourne at the Hospital where Lachy has a suspected broken bone. There are hours of uncertainty for 12-year-old Zeelie while her father prepares their home. She helps out where she can, and makes sure her beloved horse Rimu is cool and protected. After some time, it becomes clear to Dan that they can no longer defend their home and that they must do all they can to protect themselves and their dogs. There are many beautiful moments in the book, including the friendships Zeelie made, the strength she bore, and the community coming together to nurture those going through trauma and displacement. An interesting aspect of story is when Zeelies dad refers to them as being refugees. We often only consider that term for people coming from outside our country, but Dan was right, they were now refugees. Even though this book is aimed at around ten years and over, I found some parts of the book confronting. Although it wasn't real life for me, I knew it was for others and I felt a great sadness for what had been reality for people ten years before. It is the honesty and openness that the author has shared of the realities of Black Saturday that made this book a stand out. I believe this book would make a good family read, where questions could be answered and feelings talked about. Justin D'Ath has in no way made this a scary book and hasn’t gone into to much detail about the more sensitive issues related to Black Saturday. Justin did really well in explaining the story line about Zeelies horse Rimu, and I appreciated that he didn't directly refer to the outcome of the horse but it was clear just the same. I believe this book is one of those must reads, even if you're not a child. 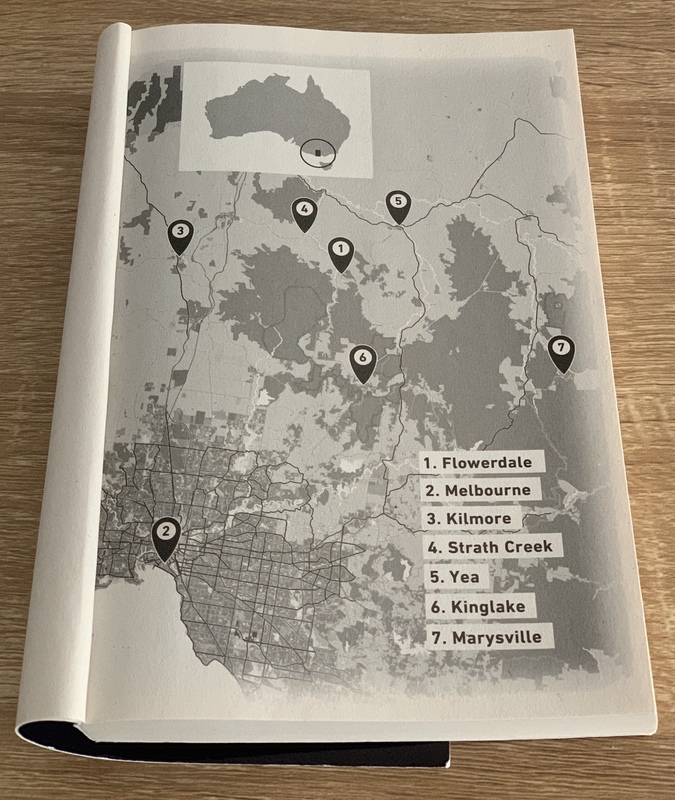 I certainly gained a lot out of reading it and feel that I better understand the tragedy and fear that surrounded people during Black Saturday Bush fires and years henceforth. Want to borrow this book? Place a hold on it now.